A journey of 1300 miles created the Old Mormon Trail, from Nauvoo, Illinois to Salt Lake City, Utah. Known today as the Mormon Pioneer National Historic Trail, over 70,000 Mormon pioneers walked it in an average of 112 days; it was the largest organized westward migration in America's history. Many traveled with wagons drawn by oxen, and some even pushed giant handcarts themselves as they were loaded with over 300 pounds of provisions and personal belongings. What is the best place to see the cherry blossoms in Salt Lake City? The Yoshino cherry trees at Utah Capitol Building were inspired from those found at the nation's capitol. Each spring they blossom and provide a spectacular backdrop from bridal and family photography. 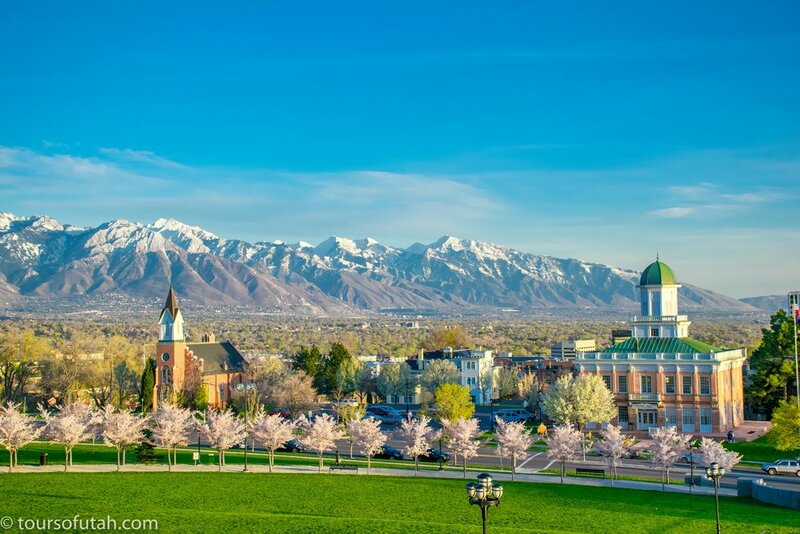 America's second most beautiful state capitol is now the number one must-see attraction in Salt Lake City this spring!